Since every commercial is different, and has many aspects to consider, a consultation is necessary to understand your goal. Once your needs are established, an estimate can be provided, then once accepted, a production plan is coordinated and scheduled. 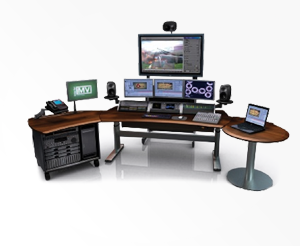 Cost is based upon the complexity of the production, equipment needed, support staff required, and post production requests to accomplish the client’s goals. The sky is the limit, and your budget will indicate how high you can reach. What ever budget you have, we will provide the best people and equipment possible to meet, and exceed your production needs. Not everyone can attend the annual corporate conference or incentive events. It is a wonderful benefit to have it available on DVD, or highlights on a streaming server. 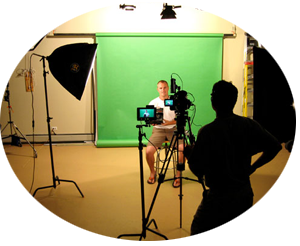 Call us for an estimate, since most conference videos require minimum editing, the cost is much more economical than most other types of productions. Cost will be based upon evaluation of client’s specific needs and complexity of the production, a consultation will be required to establish these goals, then an estimate will be provided. Having a professional production of your band will help promote your music like no other media! Please request a consultation to establish your goals for the music video. Once we understand your goals, we can organize a production that meets your budget. We can utilize single or multi camera production to film your song live. This enables us to capture a quality recording of the performance with direct sound board & Mic hookups, including different camera angles of each band member, while capturing the moment with any special lighting techniques you desire. Then we can create a dynamic look in post production by editing special FX, filters, distortions, etc., plus added some "B" roll or motion graphics to get the final look you want. We offer sports videos of school events or competitions where over 100 individuals or teams are participating. This is a FREE Value-Added Service to the schools and organizations! DVDs and Video Uploads are sold directly to the participants and spectators for $25-30 each. Cheerleading competitions, Figure Skating Shows, and seasonal School Recitals are among the more successful venues. Teachers, Coaches, Parents, and participants are thrilled to purchase a professionally recorded video of their team's performance, either for evaluation or keepsake, for less than $30 bucks. To insure this program’s success, venues are asked to insert our “Video Order Form” in their event programs. Please request your event coordinator to contact us for scheduling this valuable service at your next event. *Any additional time requested by client is subject to the corresponding hourly rates as listed on our price sheet below.